I wanted to take this time to talk about something that I’m not normally interested in. If you are anyone who knows me on a face-to-face basis, you’d know I am the least likely person to engage in conversation about politics. I realize its importance in this era that we live in, but I find it pointless and uninteresting to argue for or against ideals and policies that have an indirect affect on me. However, I am not beyond discussing laws and regulations that do affect me. In this case, it’s about video games and their regulation through the ESRB (Electronic Software Rating Board) or through the US government. On November 2nd, the US Supreme Court will hear arguments from the state of California and the EMA (Entertainment Merchants Association) on who should regulate video games, and if they should be regulated at all. But before I talk about the upcoming case and its ramifications, let’s get a little background on how we got here. 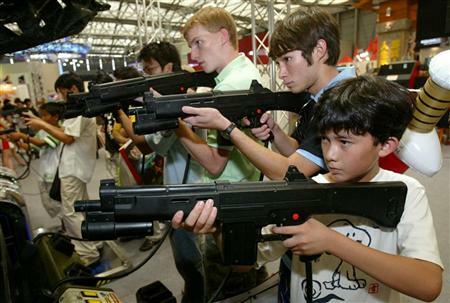 In 2005, Governor Schwarzenegger signed a bill that restricted the sale of violent video games to minors. Proposed by Democratic Senator Leland Yee, the law held that violent video games would require to be labeled as such and carry a penalty of $1,000 to the person for each violation. In 2007, the Ninth District Court of Appeals declared the law to be a violation of the First Amendment, therefore being unconstitutional. The US Supreme Court granted judicial review on the case and oral arguments begin on November 2nd. This is the first time that the Supreme Court has agreed to hear arguments on any of the state laws attempting to restrict or ban certain video games. Until now, all such laws have been struck down by lower federal courts as unconstitutional restrictions on free speech protected by the First Amendment to the Constitution. On the surface, this case is matter of keeping violent video games out of the hands of children and teens for who are not the target audience. I’m not opposed to that and I don’t think many other people are either. The problem is that many non-gaming media outlets are reporting solely this element of the case which garners support of the California law. At the heart of the law is the effect it could have on the gaming industry and the stifling of creativity. The law states that a game can be considered violent if it contains gratuitous and heinous acts of violence “upon images of human beings or characters with substantially human characteristics,” but the law never defines what “substantially human characteristics,” means. The unclear definition means that developers, publishers, and retailers cannot accurately know where boundaries lie or how the law could contradict the ESRB’s own labeling system. The law could create a contradictory labeling system which affects consumers, both minors and adults. 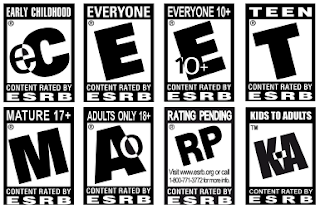 A game could be labeled T for Teen under the ESRB rating system, but would also be required to carry the California mandated warning label, undermining the credibility of the ESRB and adding confusion to parents trying to decide which games are right for their children. To me, the discrediting of the ESRB is the strangest part of the whole case. In a December 2009 Review of Industry Practices in the Motion Picture, Music Recording & Electronic Game Industries, the Federal Trade Commission (FTC) commended the ESRB for having “the strongest self-regulatory code” of all the entertainment sectors. “Of the three entertainment sectors, the electronic game industry continues to have the strongest self-regulatory code. It prohibits the target marketing of M-rated games to teens and T-rated games to children under 13 and enforces its code with fines and other sanctions. The report went on to say that retailers are strongly enforcing the age restrictions on the sale of M-rated games, with an average denial rate of 80%, far higher than those of film and music. Taking the example further, if developers created a game with the target of T for Teen rating under the ESRB rating system, it could still be labeled too violent under the California law. This would affect sales of the game, which are felt through-out the gaming industry. If games don’t sell well, publishers won’t release them, or request developers to change art, mechanics, or designs in game, limiting their creative expression and changing the player’s game experience as an end result. The most dangerous outcome of the case is that it could set precedent from the Supreme Court for future legislations. The Supreme Court has the power to say if video games are a less protected form of speech than other media. I implore you to take action and get involved. Even if you yourself are not someone who plays games, chances are you know someone who does. Think about what this kind of legislation would do if it was applied to movies or music. If you want to help, there are several things you can do to lend your support. Sign the Gamers’ Petition (http://action.theeca.com/p/dia/action/public/?action_KEY=1781) which will be filed in an amicus brief along with other documents related to the case. For a list of others who are filing amicus briefs, including Microsoft, the Motion Picture Association of America, and the First Amendment Coalition, visit http://www.mediacoalition.org/VSDA-v.-Schwarzenegger-. You can write to congress and let them know that self-regulation is working by visiting http://action.theeca.com/t/2858/campaign.jsp?campaign_KEY=2087. To learn more about video game violence, visit http://www.theeca.com/video_games_violence.